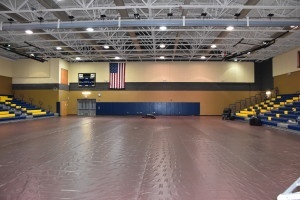 How do you turn a bare gym into a commencement space outfitted with ceremony AV rentals?  You should call AV Connections, Inc. because, as you can see, it is not an endeavor you want to try to undertake on your own. 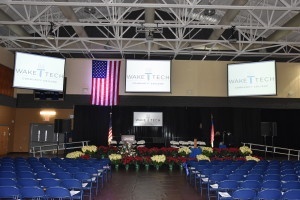 AV Connections, Inc. of North Carolina has the pleasure of providing ceremony AV rentals to each of Wake Tech's commencement ceremonies: These you see are held on the Wake Tech Campus in Raleigh, NC and multiple school of studies graduations held in the spring at Raleigh Convention Center. 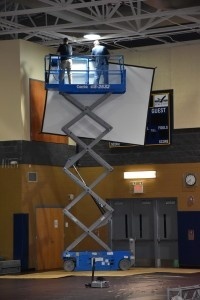 This season we are pleased to share with you some behind the scenes photos of how AV Connections, Inc. installs our large fast-fold screens above the auditorium to be sure each guest has a clear view of their student graduating as well as a view of the speakers. 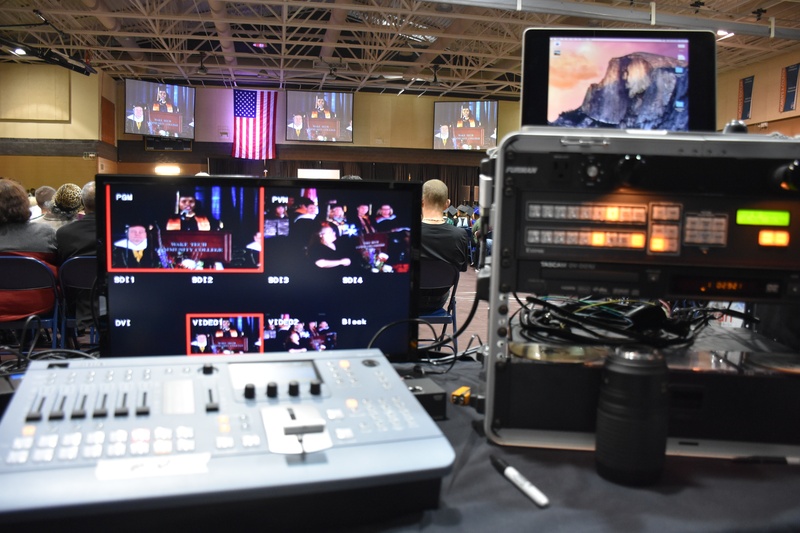 There are few more important days in a lifetime than the achievement of these graduates, we could hardly fail to assure perfection for them in the ceremony AV rentals on the day their path of study concludes. Every degree and diploma is precious, not just to those who have worked so hard to earn them, and the families who supported them. 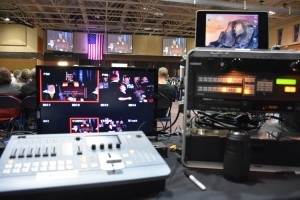 But, as we note each year at this time, they and their achievement are precious to all of us at AV Connections, Inc. We were founded here in North Carolina and have had the pleasure of working with and being community members along side so many of Wake Tech's contributors after graduation; we continue to be pleased to see more added each year. 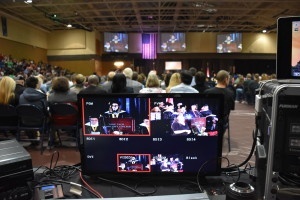 We feel strongly in the value of education and continuing education and we proud to bear witness to its successes at each and every commencement.